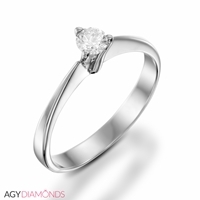 A stunning solitaire preset 0.10 carat center stone set in white gold. A stunning solitaire preset 0.15 carat center stone set in white gold. 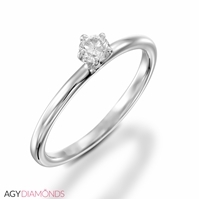 A stunning solitaire preset 0.40 carat center stone set in white gold. 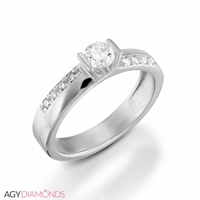 An elegant designer preset 0.30 carat center stone set in white gold. 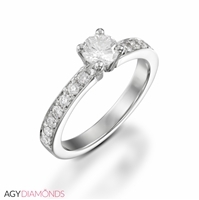 The setting features 0.08 carat of paveset diamonds for a total carat weight of 0.38 carat. A stunning solitaire preset 0.30 carat center stone set in yellow gold. 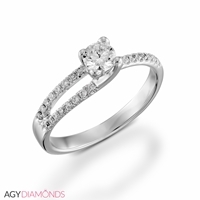 A classic engagement ring features a preset 0.50 carat center stone set in white gold. The setting features 0.28 carat of paveset diamonds for a total carat weight of 0.78 carat. 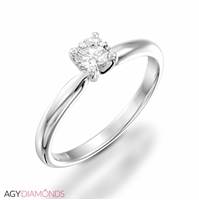 A stunning solitaire preset 0.18 carat center stone set in white gold. A stunning solitaire preset 0.18 carat center stone set in yellow gold. 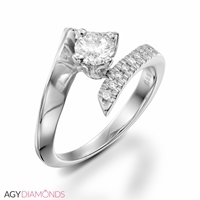 An elegant designer preset 0.30 carat center stone set in white gold. The setting features 0.12 carat of paveset diamonds for a total carat weight of 0.42 carat. 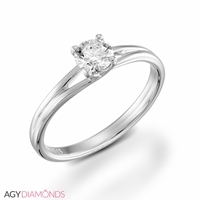 A classic engagement ring features a preset 0.25 carat center stone set in white gold. The setting features 0.28 carat of paveset diamonds for a total carat weight of 0.53 carat. 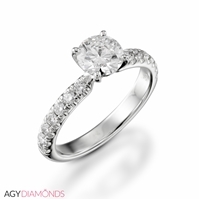 A graceful halo showcases a preset 0.13 carat center stone set in white gold. The setting features 0.07 carat of paveset diamonds for a total carat weight of 0.20 carat. 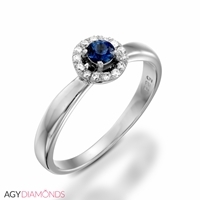 Stones structure: Blue Sapphire & Diamond. A stunning solitaire preset 0.20 carat center stone set in white gold. A stunning solitaire preset 0.40 carat center stone set in yellow gold. 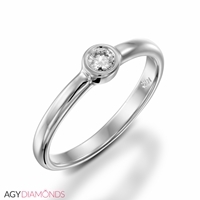 A stunning solitaire preset 0.23 carat center stone set in white gold. 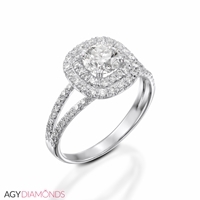 A graceful halo showcases a preset 0.50 carat center stone set in white gold. The setting features 0.46 carat of paveset diamonds for a total carat weight of 0.96 carat. There comes a moment in every woman's life, when her partner kneels before her and holds up a promising box, then opens it: revealing an engagement ring inside. This moment is perhaps the happiest, most romantic and most exciting moment in both the partners' lives; it signifies the beginning of a lifelong union, and comes about by showing true love and dedication to one another. While all engagement rings mean the same thing, they are not necessarily all alike. There are many different types of engagement rings. Most engagement & wedding rings consist of a band and a gemstone, usually a diamond. However, the bands, the settings and the gemstones may differ from ring to ring. Bands can be gold (either the natural yellow-orange color of gold, or a lighter shade), white gold (which looks like silver) or platinum (also silvery in color). The setting is the piece holding the gemstone/s. It can be either invisible (the gemstone/s look/s like they're set inside the band) or prolonged, with visible prongs holding the gemstone. It can be the same color as the band or a different (for example, a gold band with a platinum setting). Finally, the "rock" can either be a diamond (and diamonds differ from one another in carats, color, clarity and cut so there's a lot of variation there) or a gemstone. How Should You Choose an Engagement Ring?